Form Source. My algorithmic work is rooted in the tradition of early 20th Century artists who sought to create an art of pure form. Influenced by the work and writings of pioneers like Malevich and Mondrian my work turned to a lifelong quest for an art of pure form. 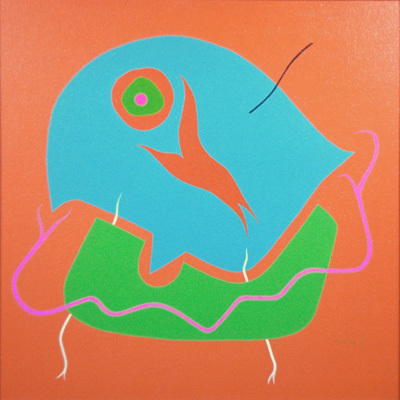 This quest, to create visual form with a life of its own, has dominated my work since the 1950's. My current work continues the same quest for “pure form” that seduced early 20th Century purists. Transition to algorithmic form generators. In 1970, through a course in Computer Concepts at the Control Data Institute in Minneapolis, I was introduced to FORTRAN. I experienced the awesome "form-generating" leverage of algorithms executed with computing power. With algorithms that required extensive computation for generating form we could now compose the "score" for drawing. The advent of personal computers brought that leverage into my studio where I could spend countless hours working with my own computer coding routines that I viewed as my “score for drawing”. Since then my work has concentrated on developing and refining a program of “form-generators” that grew from 25 years of experience as a painter. For me these procedures opened new frontiers of visual form, form we could never visualize without computing power. These art forms do not describe or refer to other realities - rather they themselves are the “realities”; they have a visual life of their own. Title sources vary. Some titles derive from evocative qualities I see in the finished form. 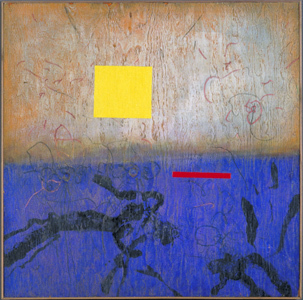 Some works remain untitled and are given numbers much like musical compositions. Often works are titled to celebrate a text, commemorate a person, or mark an event. However the art forms themselves are always presented as visual realities to be experienced, similar to the way one might experience a musical form, a flower, or a tree. By 1982 I had developed elementary computer code for initiating and improvising art-form ideas. These instructions included "form-generating" routines that continued my quest for pure form. With these generators I could explore visual possibilities, make choices, refine forms, and compose a procedure for creating art. 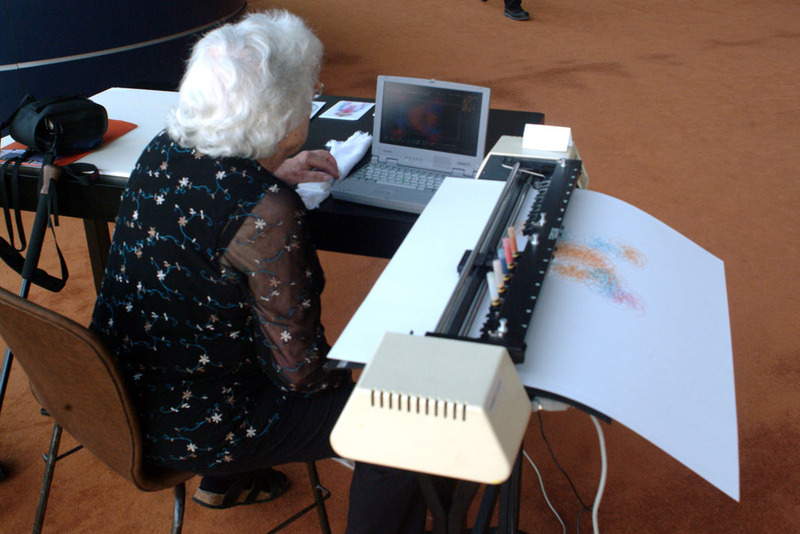 The finished work is drawn with ink pens mounted on the drawing arm of a pen plotter. Controlling algorithms for all procedures are under continuing development in a program of routines I have titled “Hodos”, the Greek term for “pathway”. 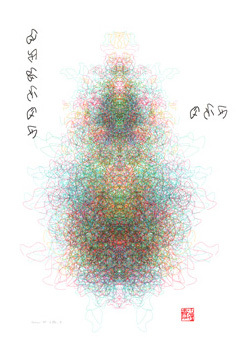 Most of my algorithmic works are original pen and ink drawings on rag paper. Technical pens with refillable inkwells employing permanent acrylic inks execute the drawings. Since the mid 1980's all drawings have been executed with Houston Instruments multi-pen plotters coupled to PC's. Some works include occasional brush strokes. For this purpose I devised an interactive routine with the pen plotter; the routine pauses the machine, as needed, so I can load a paint brush and mount it on the pen plotter drawing arm for executing brush strokes. 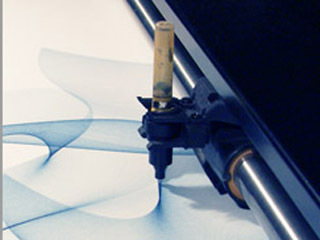 The plotter uses the brush in lieu of ink pens. In some instances I have also used self-inking brushes in lieu of pens. My software is written in elementary BASIC with DMPL as the command language for driving the plotter. Historical routines dating back to the 1980's can be called on from the controlling program. A new work could be created today (2015) with routines dating from the 1980's. As an artist my great interest has always been mastering a technique for creating an art object. Elementary pen plotting tools and simple programming techniques have provided me with more challenges than I can exhaust in my lifetime. After more than 50 years and thousands of drawings I have learned a lot about ink viscosities, pigments, paper surfaces, the honing of pen tips, and writing software fixes. Yet, I feel that I have only begun to explore the art of drawing with pen and paper.